What is "normal wear and tear," you say? Well, Best Beloved, that's the hard part, isn't it? But today, I'll give it a fair shot. Under ATCP 134.06, which puts out the rules for dealing with security deposits in Wisconsin, landlords are allowed to take money out of a security deposit for regular things (see below), but are not allowed to deduct for "normal wear and tear." But what exactly is "normal wear and tear?" Here's the definition that's on our security deposit page, which doesn't get into the nitty-gritty: "Normal wear and tear is a term that Wisconsin law does not define. It refers to the deterioration of the premises that occurs during normal conditions where the tenant cleans regularly and cares for the premises reasonably." Unpaid rent money that the tenant owes under the lease. Unpaid utilities that the tenant owes under the lease. Repairs caused by damage and neglect that the tenant and the tenant's guests did. Monthly municipal permit fees (such as mobile home parking fees). Routine painting: Much like routine carpet cleaning, if a tenant did something that caused the landlord to be forced to paint (smoking is a common example), then it is likely legal that the landlord charge the tenant to paint. However, if it is the landlord's policy to paint after every turnover, then, again, that sounds more routine than specific to the tenant's abuse. What happens when the apartment was a disaster when the tenant moved in? Wisconsin law doesn't really deal with this, but does say that there's an implied warranty of habitability when a tenant moves in, so it should be move-in livable. If an apartment is not livable at the beginning, a tenant can make changes themselves, can ask that the landlord take action, or can break a lease. If a tenant has to do a fair amount of work to make it livable, then they should be putting that in writing. The upshot is that when the tenant moves out, the apartment needs to be livable, and about as clean as it was when the tenant moved in. Everything is hard to prove without written evidence or photos, so it's always really, really helpful to have those, both as a landlord and as a tenant. 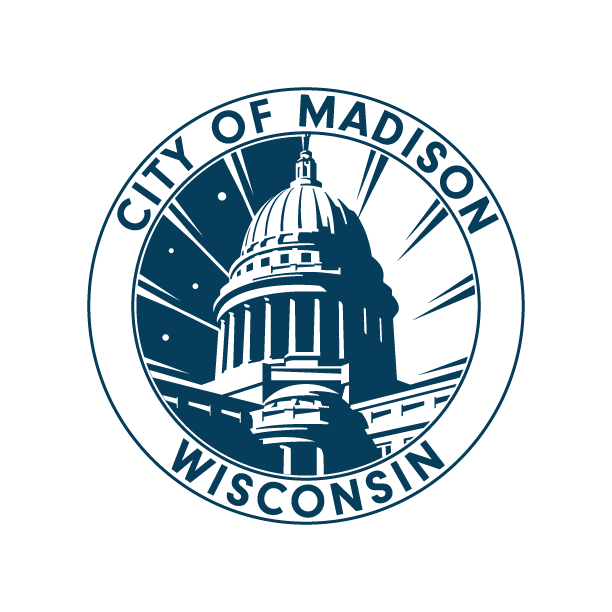 Madison General Ordinance 32.07(4) and Fitchburg Ordinance 72-79 both say that the tenant has to return the premises to the level of cleanliness that it was once they moved in, or after the landlord took action to improve it. All more reason to get proof up front of how clean it was when the tenants moved in. What happens when the landlord or management company gives the tenant a list of things they need to clean before moving out? Here at the TRC, we think of those as friendly suggestions, rather than demands. These are the things that the management company will be looking at, so it's wise to be thoughtful in how tenants approach them. One train of thought the tenant might have: Are the blinds dusty after a year of living there? Probably. Do you want to clean them? Maybe. Do you want to check and make sure that they aren't dirty beyond a normal level? Yes. Do you want to take a photo of how clean they are or aren't? Absolutely. One train of though that the landlord might have: I can ask the tenant to clean so that it's perfect, but since the laws don't allow me to deduct for "normal wear and tear," then it doesn't have to be perfect when the tenant moves out. What happens if there was significant damage to the apartment while the tenant was there, but it wasn't the tenant's fault, and also not the tenant's guests? Then it's the landlord's job to pay for those repairs. It's always a good idea for a tenant to keep a paper trail of what's going on with repairs issues, so they don't end up on the hook. Also for landlords, it's a good idea to keep track of how a problem is progressing, to make sure it doesn't get out of hand. What happens when the other party doesn't do it the way they are supposed to? Write a letter: go line-by-line in the list of charges and explain the charges that you don't believe are valid. Explain the date by which you expect to hear back. Tips on writing a letter are here. File a complaint with Consumer Protection: they'll work with mediating a dispute. A link to their complaint page is here. Sue in Small Claims Court: you can sue for double the amount that you believe the landlord took out of your security deposit which they shouldn't have. Small Claims Court tips are here. Think about the Greater Good: sometimes it can be tempting to just let it go, but there are big management companies out there that take every single persons' security deposit, partly because it's easier, and partly because they make a bunch of money that way. If the majority of tenants were to dispute the wrongfully withheld security deposits, management companies would find it less effective to just take them. If your security deposit has been wrongfully withheld, then you protect more than just your money when you fight to get it back - you protect other tenants who don't have the ability to fight. Take photos: it's a really good idea to have pictures from when a tenant moved in. That way, if there's a problem, you don't have to fret - you have tangible proof about what was/wasn't a problem before the tenant moved in. Get a security deposit in the first place: sometimes the hassle of security deposits can be overwhelming (21 days! but counting from when?! ), but having a resource to hire repair people, or cleaners when needed, can be a boon, especially if there's a quick turnover between tenants. Sue in small claims court: you can sue in court for the amount that's more than the security deposit, if the tenant owes you far more than the deposit amount. This will allow you to take further action to get the money spent back. Small Claims Court tips are here. Did you know? We aren't attorneys here at the TRC. If something you've read doesn't sound right to you, check with someone you trust. An attorney referral list is here.